When Mr. Shapiro began running his own family law office, he wanted to offer people solutions that allowed them to resolve disputes that went beyond the complexity of litigation. By working as a divorce attorney, child custody lawyer, and mediation professional, Mr. Shapiro gives couples the opportunity to choose whether they'd prefer to use "alternative dispute resolution" to solve their concerns regarding the best interests of their children or child. Mediation is a strategy that allows partners to come to terms about a child's future, without trusting decisions entirely to the New York or Long Island courts. Mr. Shapiro often finds that mediation is popular among people in child custody and visitation disputes, as it can allow ex-spouses to sometimes maintain an amicable relationship. However, mediation isn't a one-size-fits-all approach to dispute resolution. In fact, there aren't any concrete rules about the way that mediations should proceed. Instead, sessions are carefully created and altered according to the families, individuals, and couples in question. Mr. Shapiro's experience as a child custody attorney and divorce lawyer has given him a great deal of experience to work with when it comes to discussing agreements involving children. He often begins by asking the parents involved if they have an idea of what they want to accomplish with their mediation. If the clients are unsure which options might be available to them, Mr. Shapiro can then discuss the different types of arrangements available. For instance, he might offer details on the basics of joint residential or legal custody, sole custody, and other things like “spheres of influence". The outcome of a child custody mediation will often differ according to the specific needs of the family. For instance, Mr. Shapiro's clients might create an agreement for sole custody, while spelling many elements of the agreement out in such a way that joint legal custody is also implied. For instance, the custodial parent may be asked to consult with the other parent before making decisions on things like social welfare, healthcare, religion, and education. Ultimately, Mr. Shapiro uses his experience as a child custody lawyer in mediation to help each parent find a solution that both can live with. The idea is to not only help the clients understand what options are available to them, and assist them in coming to terms on an agreement but also give them the guidance they need to create an agreement that's likely to be accepted by the courts. After all, the courts of New York will have the final say in making an agreement posed through mediation into an order. The only way that an agreement will be accepted, is if the court believes that the option proposed by the parents is in the "best interests" of the child, or children. Mr. Darren Shapiro is in a unique position to offer help and guidance to clients who need help with custody and visiting time decisions made through mediation. His position as a certified mediator, and a child custody lawyer means that he has the background, skills, and experience to guide clients through an incredibly complicated topic. Usually, this will mean that he spends some time speaking to his clients about the choices available in parenting time and child custody. For instance, he might address the examples of parenting time scheduling that parents can choose to help make their divorce less disruptive to their child. These schedules might include a consideration of the regular school and work week, as well as special occasions, weekends, and vacations. The key to successful mediation for Mr. Shapiro and divorce mediators like him is making sure that each side in the process can have their thoughts heard on the topics that are most important to them. This means that if the wife starts to talk about what she things parenting time schedules should look like, the husband will also have an equal chance to be heard. This often means taking steps to minimize disruption and interruption by setting certain ground rules that keep the conversation flowing. For example, if the mediating couple starts to argue, then Mr. Shapiro might request that each client tries to direct their attention towards him, instead of the opposing party. Though mediation can be an incredibly effective way to address the issues of child custody and visitation, sticking points can sometimes arise. During those moments, Mr. Shapiro often finds his experience as a child custody attorney is helpful in ensuring his clients know how certain courts might make decisions about specific issues. After all, a judge will ultimately have to sign a custody or parenting order to make it binding. By sharing information on how courts might react to a particular issue can give Mr. Shapiro the ability to guide his clients more easily towards a solution that's most likely to work for everyone. Ultimately, mediation is often used as a solution that allows parties to come to a decision or agreement that works for both of them. This means that each client may need to allow for some compromise. In some cases, Mr. Shapiro's clients may have to make concessions in certain areas to ensure that they get the results that they need in another. Sometimes, Mr. Shapiro may even ask clients to explain why they've taken a certain position, to help discover whether there may be an alternative route to satisfying a particular rationale. Occasionally, mediators like Mr. Darren Shapiro might also use alternative methods, like mediation by caucusing, which involves meeting with both sides of the couple alone. On the other hand, they may recommend working with a psychological professional, like a child specialist, who may be able to offer guidance on the options that are best suited to the needs of the child. 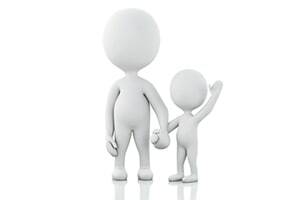 To learn more about the complexity involved in making decisions about child custody and parenting time, or to discuss the option of mediation for resolving disputes, contact Mr. Shapiro at your convenience. You can contact him either through our online contact form or over the phone at 516-333-6555 to schedule your free half-hour consultation.